The #1 attraction is Lake Osakis. Beautiful Lake Osakis is 11 miles long and over 6300 acres of water. 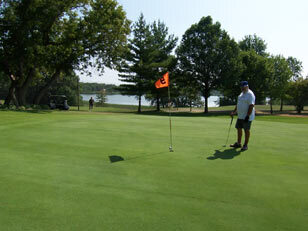 The resorts offer many things to do – some may have more to offer and some may not have all that is listed. But with the sun, the lake and an Osakis Resort, you may decide you have everything you need for the rest of your life! 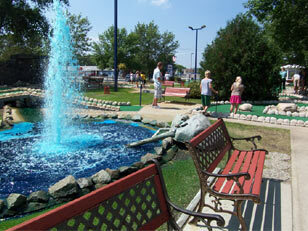 Visit these attractions near Lake Osakis…..
Bingo times: Mon., and Thurs., at 7 p.m.; Sat. at 2 p.m. and Sun., at 3 p.m. Please contact the resort you have reservations at for the name of their favorite fishing guide on the lake. 15 miles north of Lake Osakis on Todd County Rd. 3.
west 7 miles on Hwy. 27, then 1 mile north on Liberty Rd. A summer theatre where live performances enchant audiences all season long. Feel the magic and excitement of days gone by when you visit one of the few remaining Drive-In Movie Theatres left in the state. Watch movies under the stars from the comfort of your car. Current movies every Fri., Sat. and Sun. nights from May-September. Movies begin at sunset. Second movie follows the first after a brief intermission. Don’t forget to visit the concession stand! Located adjacent to the Runestone Museum. A collection of antique and classic watercraft and fishing memorabilia. A 28 foot tall Viking statue that stands across the street from the Runestone Museum. One of the highest points in Minnesota located on the northern fringes of Douglas County about 15 miles NW of Carlos State Park. Sinclair Lewis once called this scenic overlook, one of the most spectacular sights in the state and visitors still agree. The walk to the top is invigorating and the view is beautiful. Directions: go thru Millerville, enter Ottertail county, turn west on Ottertail County Road 38. At the Peak Supper Club, turn right on Inspiration Peak Road. “Did the Viking Explorers discover America 100 years before Columbus?” See the buried rock an immigrant Swedish farmer found in 1898 that contained an ancient runic message carved by the Viking explorers in 1362. Outside the museum is Fort Alexandria built in 1862. Great place to take the family and enjoy all the animals and gardens. Petting Zoo, Bounce House, Orange Maze, and pony rides for children up to 75 lb. on our miniatures horses. Animals include pygmy goats and their kidds, sheep, miniature horses and miniature mules, Sara our llama and her son Sid, pigs, rabbits, and Samson and Caesar the alpacas. Birds include many varieties and colors of chickens, ducks, geese, pheasants, peacocks, pigeons and doves. Bunnyland and “Goat Tower” (watch the goats climb and entertain) are the newest additions. Open for season Memorial Weekend thru Labor Day Mon.-Sat. 10-4, Sun. 12-4. Check out our Pumpkin Patch and Corn Maze on weekends in the Fall. Come join us for family fun! Enjoy hayride farm tours, our petting zoo and handmade crafts for sale. Visit with miniature donkeys, Scottish highlanders, emu, goats, horses, pigs, llamas, alpacas, chickens and more. Meet Moo the pot-bellied pig, Papa T and Nikia (our mini donks) and Emma the Emu, to name a few. Open to the public the first full weekend of each month, June thru December. Sat. 10-4 and Sun. 1-4. Visit us in December for after dark, bobsled rides through our thousands of holiday lights and decorations. One of the largest wineries in the state with 160 acres. Tour the vineyard on a rental four-seat Surrey bike, enjoy live music on weekends, free winery tour and sampling of the fine wines produced at the winery. Carlos Creek Winery is open year round. In the winter visitors can take a dogsled ride, or bring their skis and enjoy the cross-country trails. Bike, walk or skate thru the “tunnel of the towering trees” on the Central Lakes Trail just west of the trailhead in the town of Osakis. 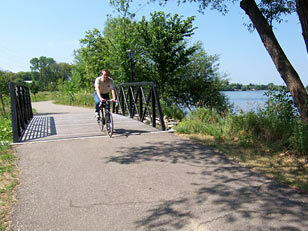 The Central Lakes Trail connects with the Lake Wobegon Trail in Osakis making it one of the longest trails in the state.